Florals? For Spring? ...Hell yeah! What says spring more than the sight of flowers blossoming and blue skies melting away the perpetual greyness of winter? Florals and prints are synonymous with this time of year and whats more, they are the perfect way to introduce some colour and freshness into your wardrobe palette. 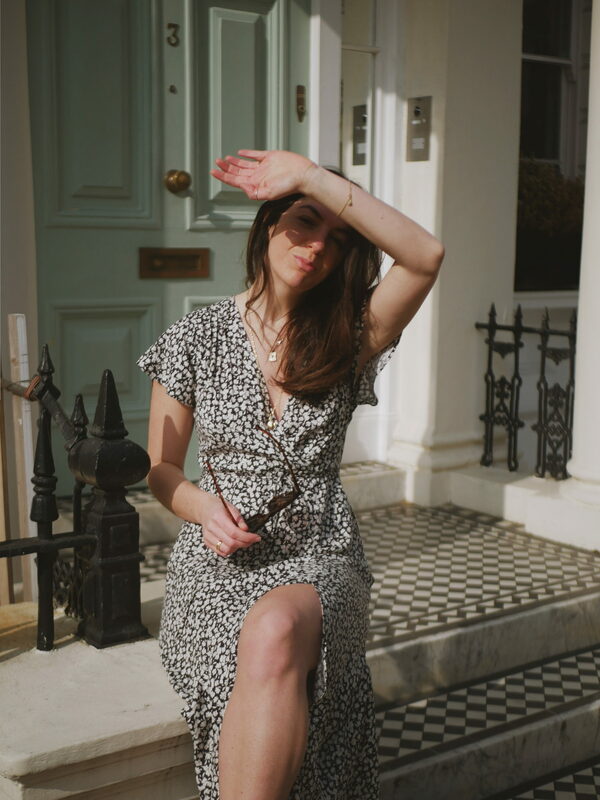 With that in mind I've styled some pieces from French Connection’s beautiful new season collection as I start to think about warmer climes and outfit plan for weddings, holidays and special events i’ve got over the next few months. Ok so firstly, I'm such a maxi dress convert. Until relatively recently I’d steer away, thinking they’d drown me and only the super tall and very slim could pull them off. But how wrong I was, of course they are having a pretty in-fashion moment right now but regardless of that I actually think they are one of the most flattering and versatile styles out there, especially for early spring days when you need the extra coverage over your pale not-seen-the-sun-in-months pins. They are also great for formal occasions like weddings or work events and are so easy to dress up or down. 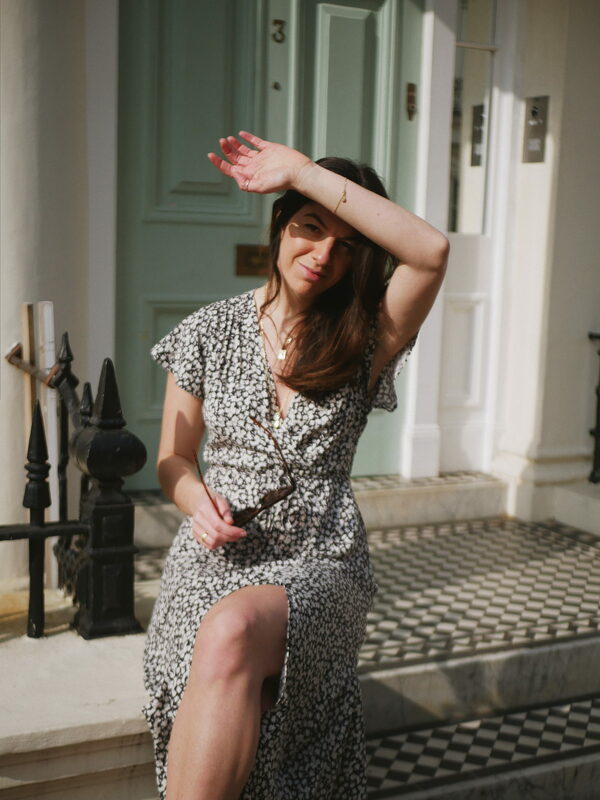 Case in points is the Aubi ditsy print dress, it has such a lovely fit with a flattering but subtle split at the leg, waist-tie and v-neck cut. I love the loose capped sleeves and the way the skirt falls in a flowing, romantic way (is that a thing? I’m making it one..). 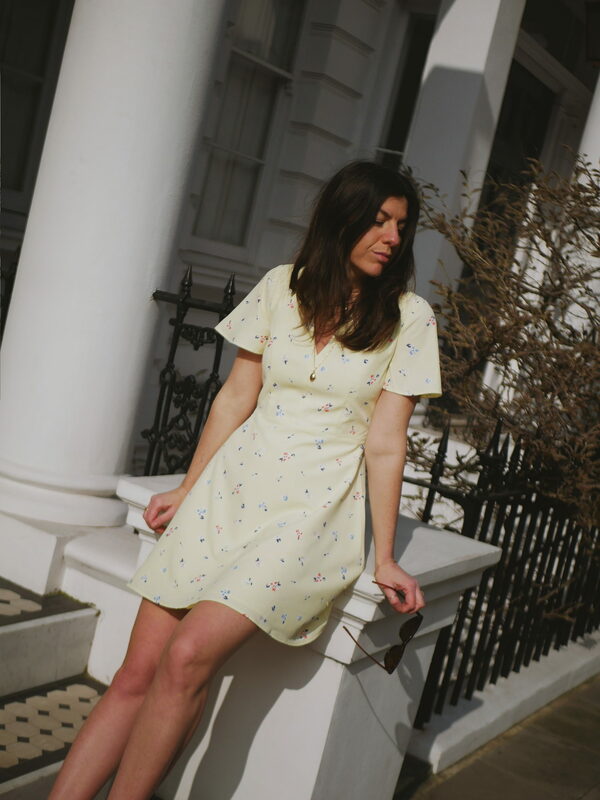 I’ve teamed it here with a pair of navy espadrilles but can just as easily go with a pair of white plimsoles or brown leather sandals, its the kind of dress that can be worn to a summer wedding and also with a leather jacket and trainers for a relaxed weekend look. 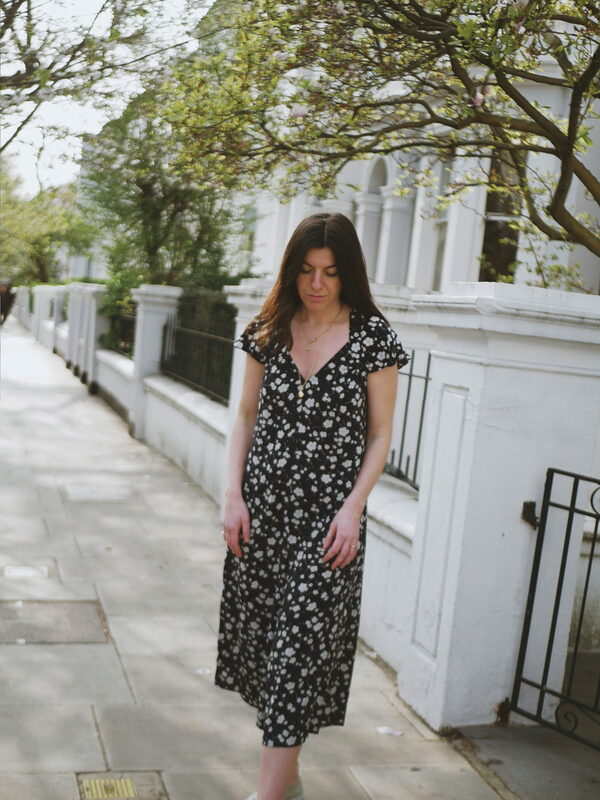 The Coletta is the second maxi i’m styling and it’s the perfect dress for a wedding or party where you really want to make an impact, and by impact i’m more thinking ‘seeing an old flame for the first time in a while’ over ‘upstaging the bride’ but you catch my drift. 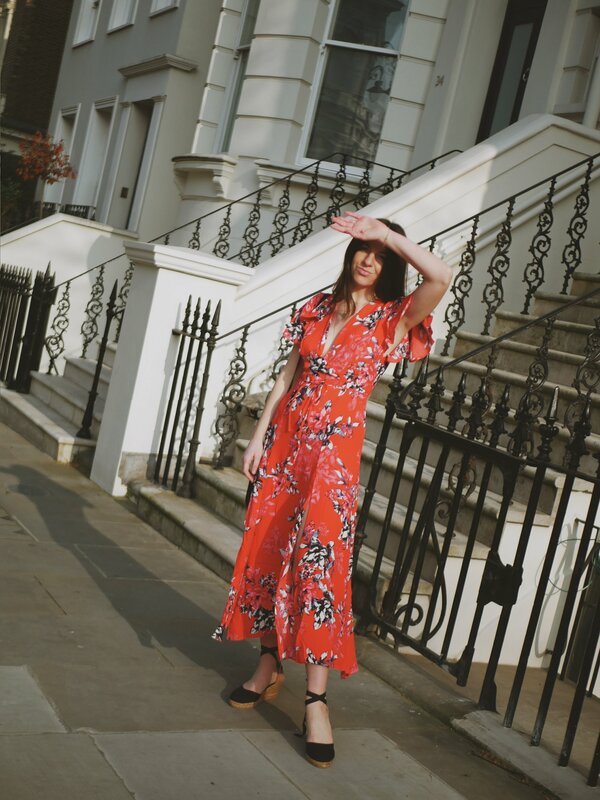 I'm not usually one to be drawn to bold prints but I love the colour and flowing shape of this dress and how when you put it on you feel simultaneously amazing and like the long lost twin of the flamenco dancer emoji! You can never go wrong with a jumpsuit in my opinion and the Briella linen number is one of the best fits I've tried. It's got that perfect slightly-tapered-cropped leg and a really cute v-neck cut and tie-waist as well as being the perfect neutral shade. 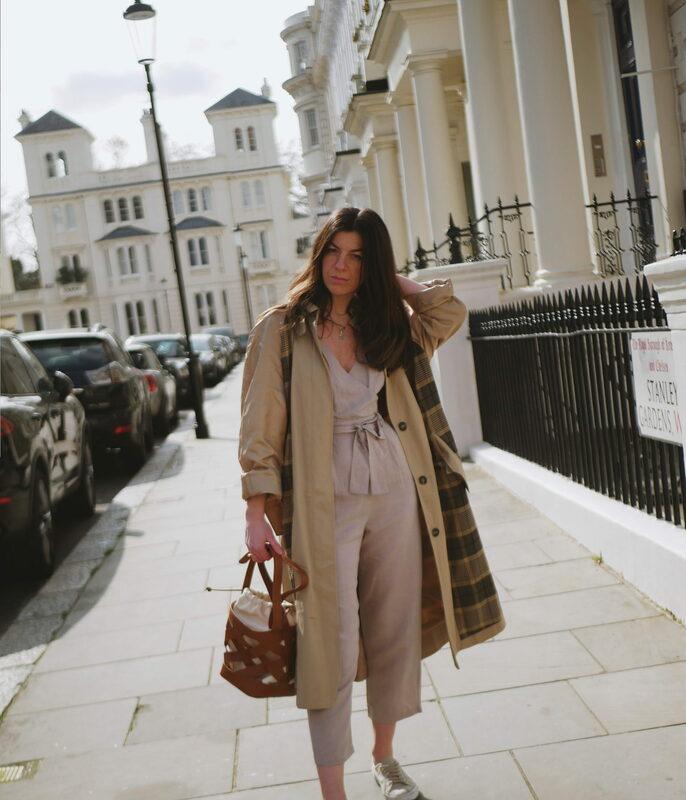 I've styled it with the Anais check trench coat, brown leather bucket bag and trainers. 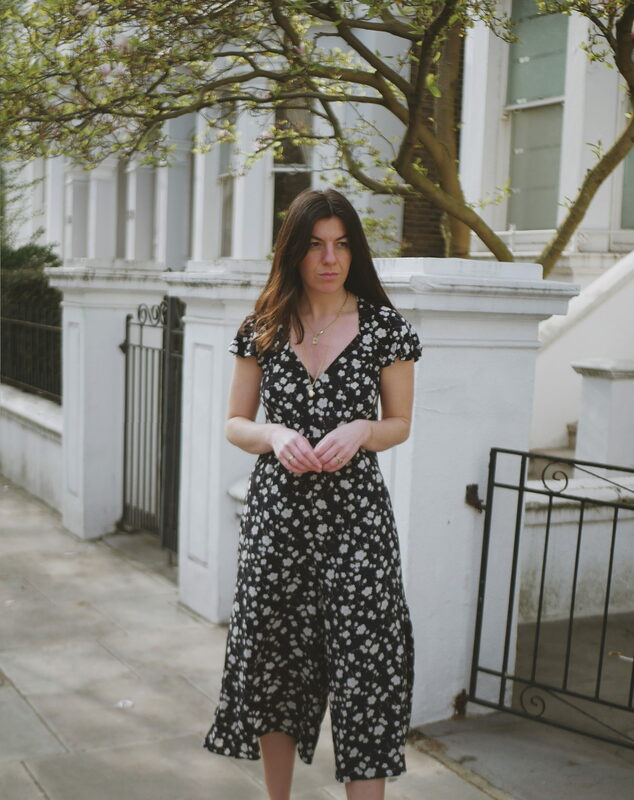 Although I love dressing up when the occasion allows it i’m more often than not reaching for those easy outfits that don't require much thought but look great, for me this jumpsuit is exactly that and will be a spring staple. I honestly can't fault any of the items i’ve styled from French Connection’s range and what I love is the diversity of pieces, they've really thought about different shapes and styles with something fitting for any occasion whether it be a wedding, an event or just something great to wear to eat a roast on a sunny spring afternoon. I’ve tagged everything i’ve styled but you can shop the rest of the spring/summer collection here. Post in collaboration with French Connection, but all thoughts and styling my own.